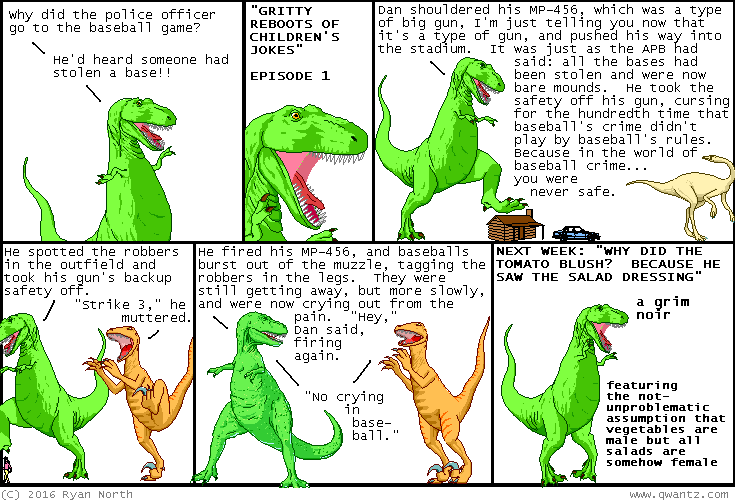 Dinosaur Comics - June 27th, 2016 - awesome fun times! June 27th, 2016: I have a 2-year-old nephew and am preparing to be the FUN UNCLE. I'm already a cartoonist with lots of dinosaur stuff around his house - I can't lose, right? ?